Do you want to become a freelance photographer? Having your own photography business can give you a lot of freedom and fulfillment, but you might not be sure exactly where to start. In this article, we will share our 9 best tips for becoming a successful freelance photographer. Many successful photography businesses start off from doing part-time freelance work, and then gradually become full-time jobs. 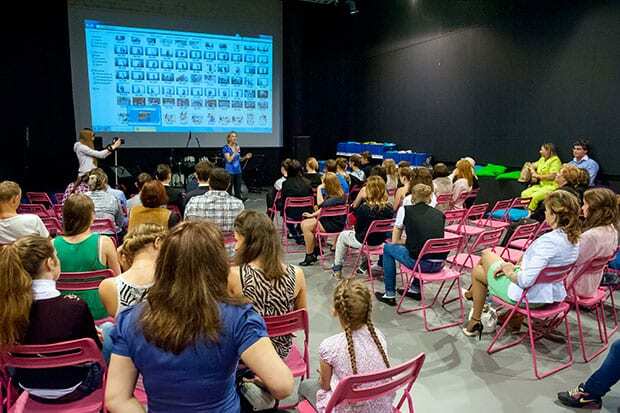 However, freelance photography can be different as it poses some special challenges. First, photography is an art. It takes a special passion and skill to successfully capture the beauty of a scene. Second, all the gadgets you need are pretty expensive compared to other freelance businesses. To get started in web development, for instance, pretty much all you need is a laptop. To succeed at your photography business, you will need to have a good understanding of photography techniques. You’ll also need to make an initial investment in some gear. That being said, we have some tips for getting your business off the ground with relatively little expense. We’ll show you how to purchase only the necessary basics. We’ll also show you how to really standout so you can be a successful freelance photographer. The first thing you need to do is invest in good equipment, so you can be confident in your ability to perform your job. 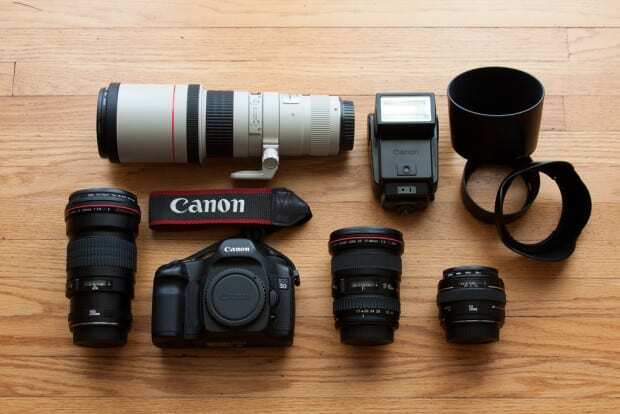 An up-to-date camera, lenses, and a flash are the main pieces of equipment that you’ll need to start your freelance photography business. (Image via Isaac Steiner. )You may also need reflectors, diffusers and lights. (Image via Shaw Academy. 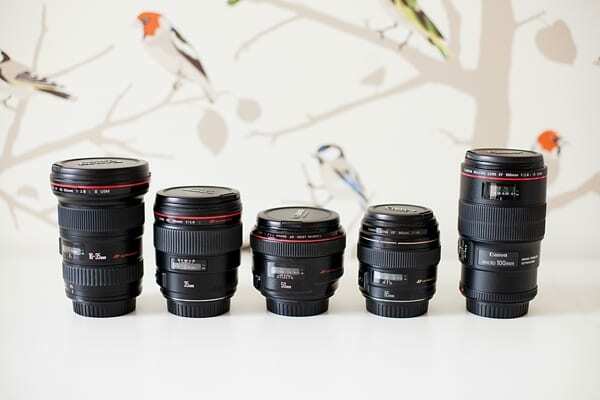 )Out of all of these pieces of equipment, good lenses are the most important. So once you start making some income, we recommend that you spend some of that money to purchase new lenses. (Image via Angela Higgins. )To learn about the prices of photography equipment, check out this detailed guide on how much does it cost to start a photography business. As a freelance photographer, you’ll need a professional photography website to show off your work and help you spread the word about your photography business. But your website can be more than just a portfolio. You can also use your website to communicate with clients, schedule sessions, manage your orders, and even deliver your completed work. (Image via Derksen Photography. )The best place to start is with a WordPress site and a good photography template. 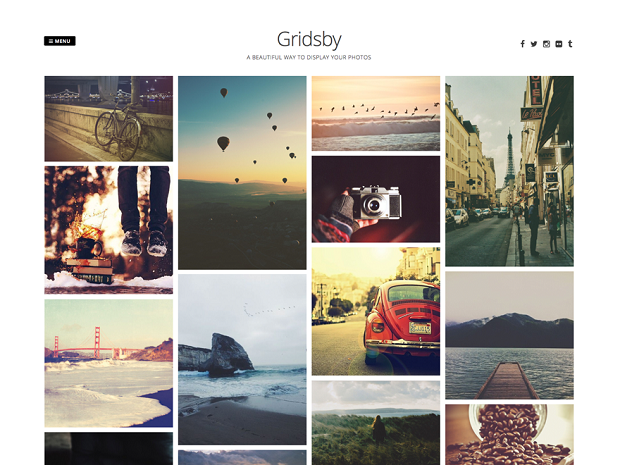 Here are the 55 best free WordPress themes for photographers. Also check out these 21 best WordPress plugins for photographers. Every freelance photographer needs a strong portfolio in order to attract clients. When you are first starting out, we recommend doing some work for free to build your portfolio. You can also find local models who need portraits for their modeling portfolio, and that way you both benefit. Once you’ve done some free work, you’ll need to display it on your website. 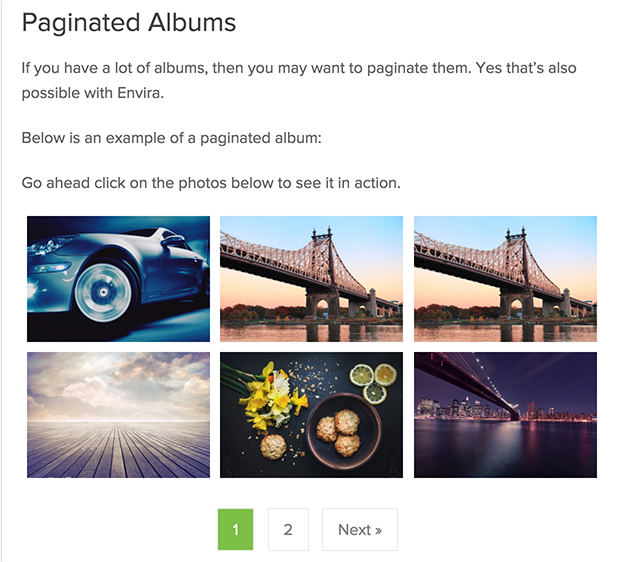 Check out the Envira Gallery Albums Addon to add a stunning portfolio to your website. 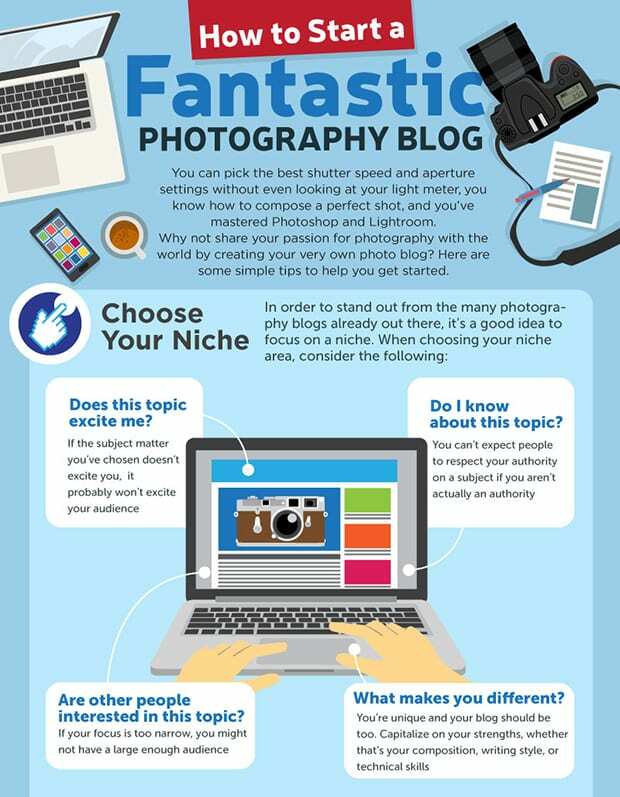 There are many online platforms for photographers to get traction and clients, such as Pinterest, imgur.com, and blogging. Create a blog and write regularly to attract new clients. A blog also helps your website visitors to become clients by teaching them about your work and helping them to trust you as a professional. (Image via WhoIsHostingThis? )It’s also a good idea to keep in touch with existing clients on a regular basis by keeping them updated via an email newsletter. A strong network can help you get repeat clients, and additional work through referrals. 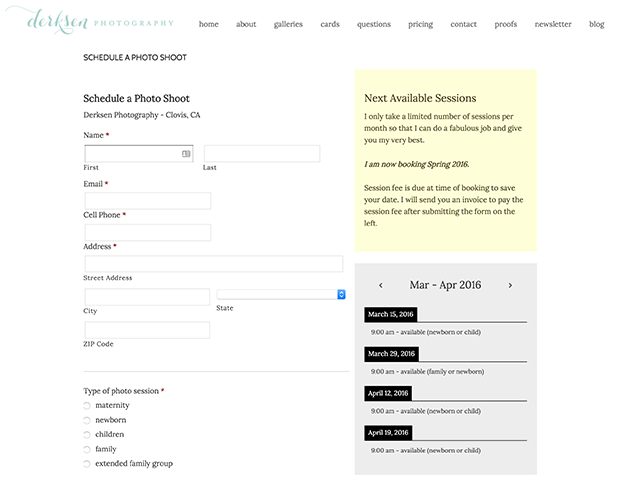 MailChimp is a good free email newsletter tool for photographers. OptinMonster is what we recommend for adding beautiful email signup forms to your website. Once you start getting a steady flow of clients, you will have a lot of tasks to complete each day, and it’s important to have a detailed schedule. 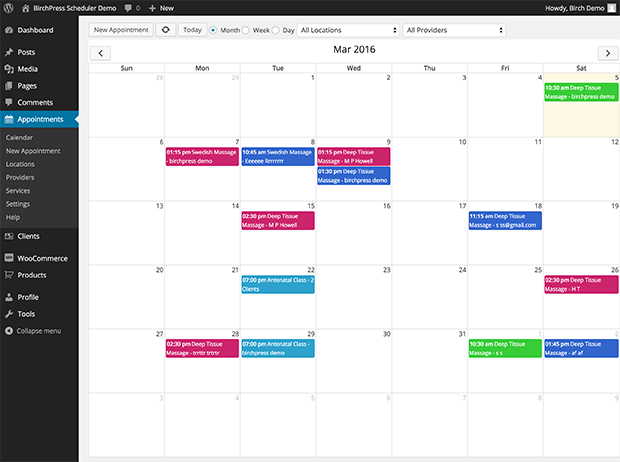 We recommend that you use the BirchPress Scheduler WordPress plugin on your website to take appointments and show your availability to clients. The best way to become successful as a freelance photographer is to produce such amazing work for your clients that they can’t help but rave about you. 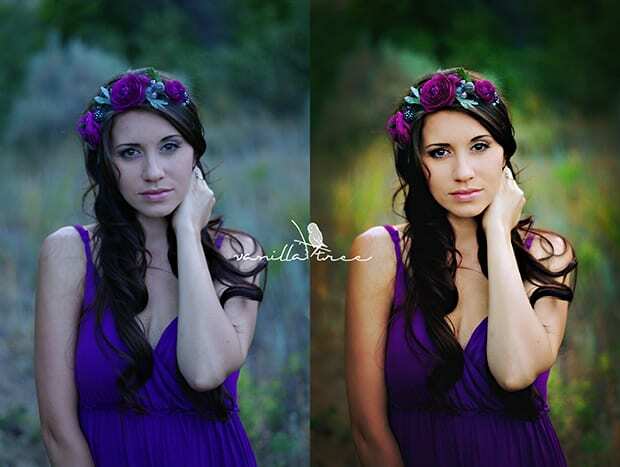 To do that, you should always edit and enhance your photos before delivering them to your clients. This editing may include a background adjustment, color balancing, fixing insufficient light and enhancing skin tones. (Image via Vanilla Tree Photography. )To help you edit your photos, check out our list of the 9 best photo editing software for photographers. When you work for someone else your salary is guaranteed. So becoming a freelance photographer and suddenly being in charge of your own salary can be a bit scary. But if you do a good job managing the income and expenses for your photography business, you can eliminate a lot of that fear. We recommend keeping your personal/household expenses separate from your business expenses, and paying yourself a certain salary. That way, you will know exactly how much money you have left over to invest in your business, and you won’t be tempted to make those purchases out-of-pocket. Continuing education is important for freelance photographers because it helps you to raise the bar for yourself and renew your passion for your work. Attend a local photography workshop, sign up for a community college course, or study an online course. Here are some of the best free online photography courses. Not only will you learn new skills, but you’ll also have the opportunity to grow your network and get support from fellow freelance photographers. You should be confident in your photography skills: you are a professional photographer. If you are going to be successful as a freelancer, you need to show potential clients that you can confidently deliver the work they need. Take experience from multiple shoots. Note what worked and what didn’t work in different situations. The more experience you get, the more you will hone in on your skills. You will become a more confident photographer with every step. That’s all. We hope this article helped you to know the 9 best tips to become a successful freelance photographer. You may also want to check out the 21 best free web apps to grow your photography business. Follow us on Facebook and Twitter for more photography tips. Thanks for this article. I’m more inclined to pursue a career in freelance photography now! This definitely assured me on everything I was scared of in freelance photography, and I will definetly always refer to this in my journey! Thank you! Thank you, Emony! Glad you found the post useful ? Let us know how it goes! You may also want to check out our post with best email marketing service. You compiled a really great list of helpful resources. However, I would like to add a few tips regarding the exposure gaining process. You mentioned using Pinterest and blogging as a great way to promote yourself, but do not forget the power of social media( I know Pinterest falls into this category, but I am talking about some other platforms. Indeed, Pinterest is a great resource, but it doesn’t provide that level of interactivity that some potential clients may need. Platforms such as Facebook provide the opportunity to spread the content at an incredible speed (they have even some advertising services, so if you have some money to invest, I think it worth the shot). is it necessary as a freelancer to get a license, insurance and contracts starting off as a freelancer? Hello! Everything you’ve listed there is very helpful for making your freelance business appear professional and for protecting yourself and your work. However, it depends on what kind of freelancing you’re going to do. For instance, insurance may not be needed right away if you’re taking photos around your house and selling them on stock photography sites. Ultimately, you’ll need to use your best judgment for what you need to begin. I hope that helps! It depends on the state. I live in Washington and I just registered my trade name. That’s all they required for it here. Call your local Labor and Industries to see what they require. Thanks so much for this article, it really help me as a freelance photographer. Nice tips, thansk! I just wanted to ask what sites can you advice for a young photographer for freelancing?